What it does: Rich with Nitrogen (N). Enhances the growth of crops during their vegetative growth period. Can be used as a soil fertilizer and as a foliar spray. Increases yield and improve taste and fragrance. Helps activate micro organisms. What it is: Fish emulsions have been documented to promote seedling growth, fruiting, and microbe action in the soil. One such emulsion, fish amino acid (FAA), is produced by fermenting fresh fish by-products (bones, head, skin, and other tankage parts) with brown sugar. 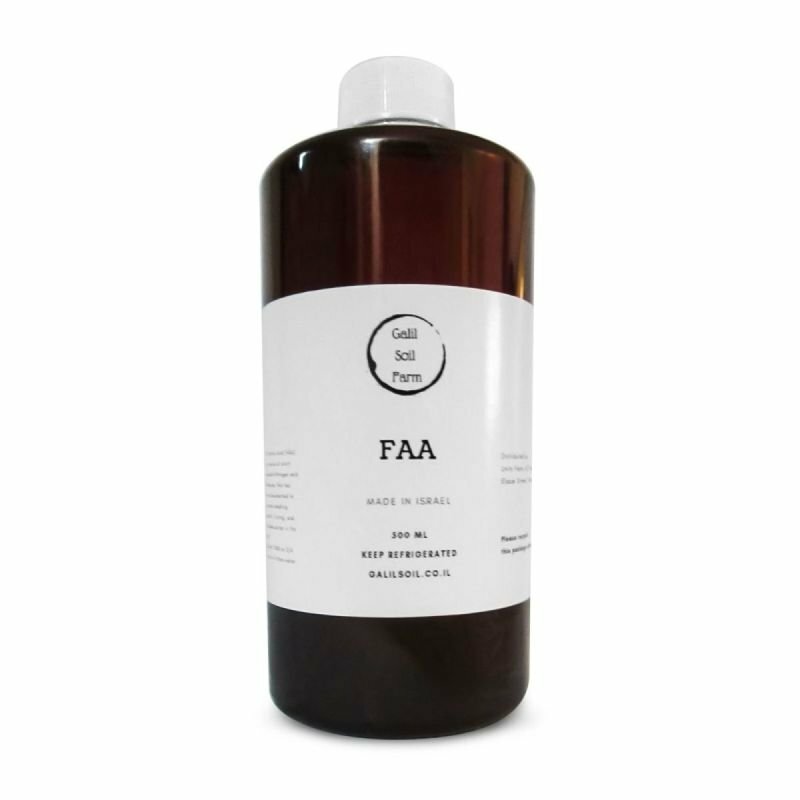 FAA can be used as a stand-alone fertilizer or in conjunction with other Galil Soil Farm inputs and applied as either a light foliar mist or a soil drench to maximize uptake and minimize runoff or leaching, providing just enough N (Nitrogen) to the plant for optimum uptake and the production of chlorophyll to maintain plant health. Contains naturally occurring probiotic essential for healthy plant growth and soil development.